Commentary: As time marches on, it's weird to see how Star Wars changes. Most of the figures we've ever received were after we had a relationship with the character or costume. It's not like you didn't have a chance to read Shadows of the Empire before getting Dash Rendar, and you knew who Thrawn was years before that first figure shipped. 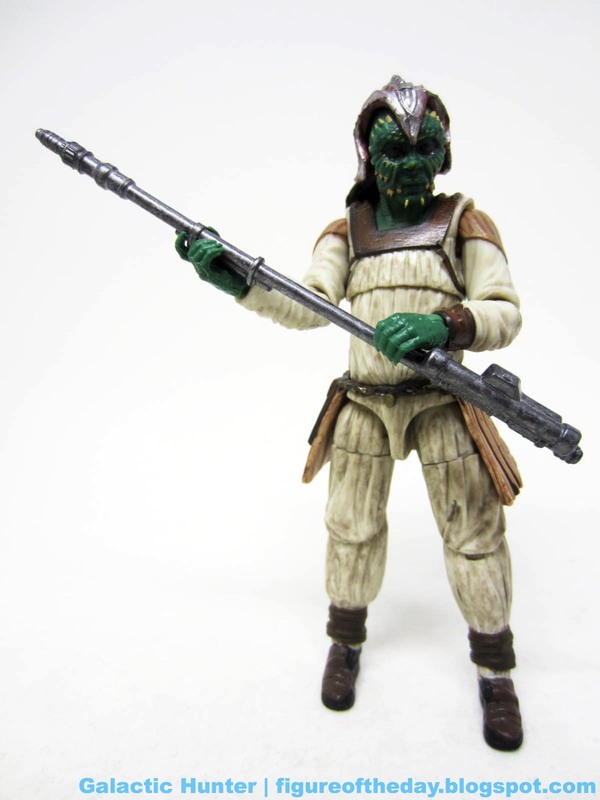 You saw Return of the Jedi before we got the first version of Klaatu (Skiff Guard) in 1984, probably unaware that this green guy was different from the 1983 green guy named Klaatu, who would later be called Wooof. Knowing who a character is, or where a figure belongs in a playset or display, makes a huge difference for enthusiasm. 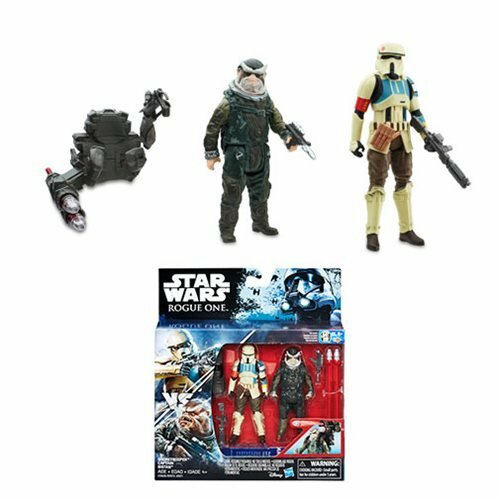 It's hard for me to get excited for any given new movie figure most of the time, mostly because I'm being handed a toy blind. That's good for most toys and your imagination, but with Star Wars it really is largely about the relationship. In this case, it's a relationship with a rubber mask. The 1984 Kenner original lacked the "skirt" that we got in 1998's first modern-era version of this Klaatu, and that skirt remains in 2019. The figure has been enhanced to a ridiculous extent, with a wipe bringing out the pleats in the outfit and so much articulation. 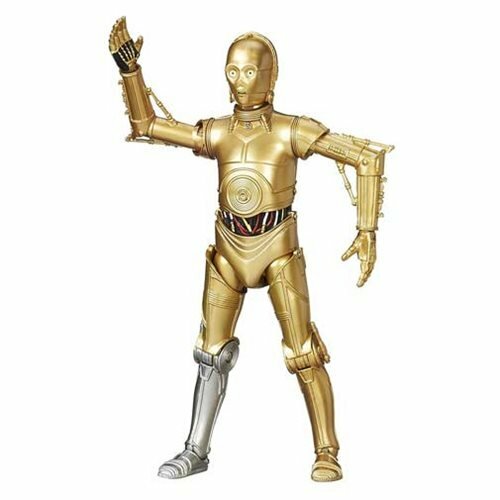 For a figure that mostly stands around, 28 points of articulation is a large number. 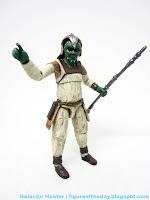 He can stand, and can even be posed to swing his legs forward - a plus, given this month's alleged release of the Sail Barge is going to need piloting. Thanks to separate trigger fingers and bend-and-swivel wrists, it would seem Klaatu exists mostly to remind you just how much these Vintage figures have improved since the last full line ended in 2012. 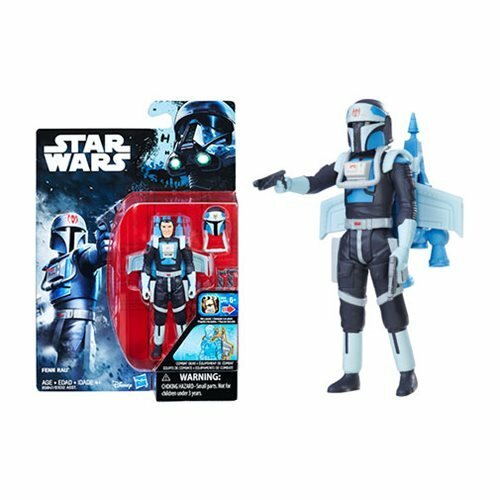 It also makes me sad to see just how few we're likely to get, because Hasbro has basically done the impossible and squeezed in more articulation and detail on a tiny figure. It's remarkable. The painted detail is almost better than the actual costume, with gold horns painted that we didn't really get in the movie. The hat is a separate, glued-on piece and the hands are just exquisite. Clever articulation allows us to pose him in a number of awesome ways, and while I don't like the chest joint - it's ugly - at least they're trying something new. Klaatu's weapon is basically the same as Boushh, just in a new color. It's great. You'll want two or three of him. A lot of the figures for the recent movies are pretty good. It's hard to deny the quality of many Rey and Jyn figures, but there's certainly a push back from fans that want those movies from when they were kids from now until the end of time. I need some of each - with these as the first new original trilogy alien figures out of Hasbro in almost four years, we're reminded just how much we love their classic work and what they can do when they're provided reference from a movie that's not still in production. 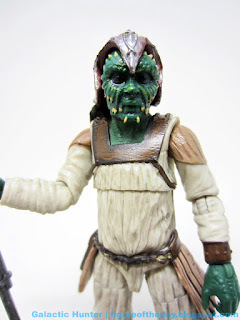 I look forward to new new-movie-figures from The Force Awakens now that the secret is out, and Hasbro could make their very best work without the veil of NDAs. It's turned out so well for the original trilogy that I can say I am still eager to see what they might do for us the next time they bring someone to today's standards, because this is great.